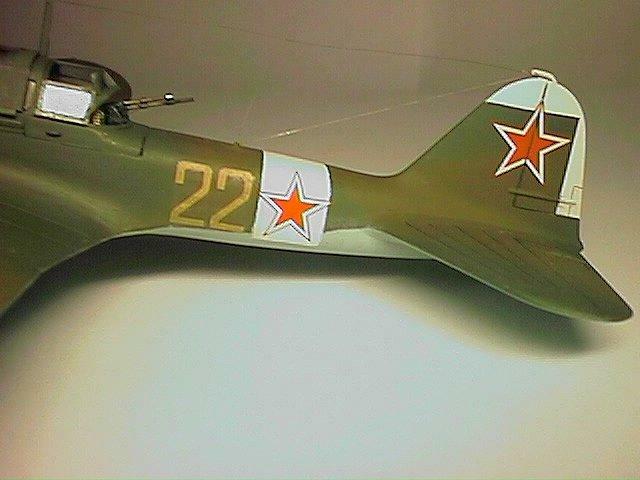 The aircraft modeled is of Hero of the Soviet Union Georgy Beregovoy's "Yellow 22". He was also the12th cosmonaut and the first who flew to space and successfully landed in the spaceship "Soyuz-3". 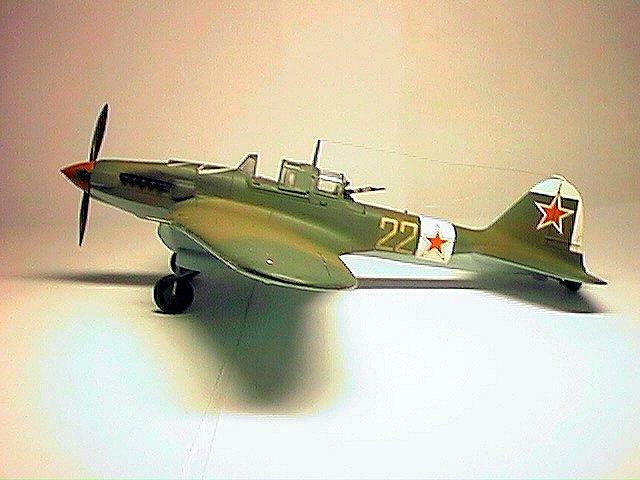 Georgy Beregovoy flew Shturmoviks during the Great Patriotic War. 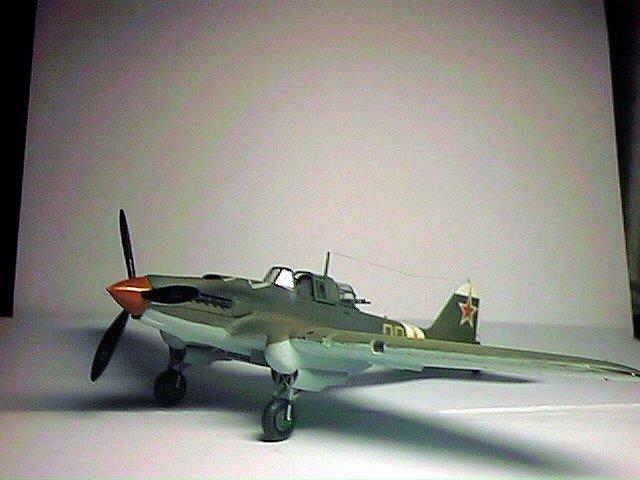 He flew all types of Il-2s from the first serial single-seat version to the last. 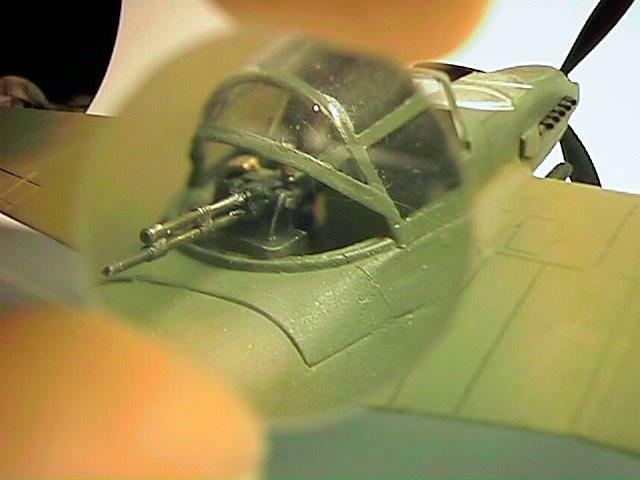 The kit had a pretty detailed interior (17 parts for both pilot's and gunner's cockpits), but unlike the original DAKO kit, this kit had very bad quality molds. I was forced to scratchbuild some cockpit devices and the gunner's UBT machine gun. I tried to build this as an "out of the box" kit, but the UBT gun and canopy didn't let me do this. The UBT was made of hypo needles of three different diameters. 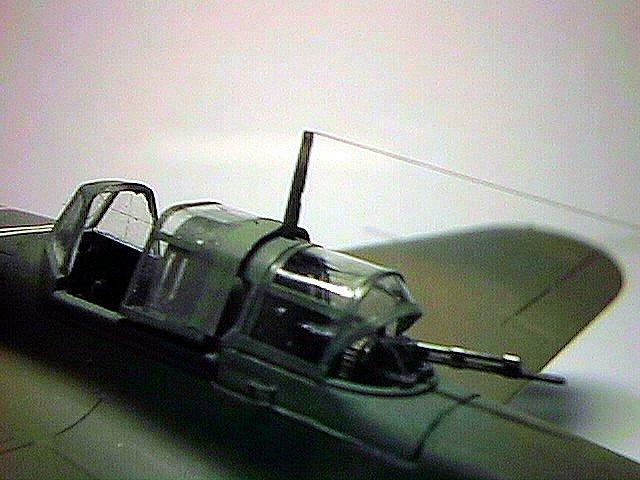 Forward sliding "pilot's" and rear "gunner's" parts of the canopy were made of thin plastic (from a Coca-Cola bottle - "Always Coca-Cola! :-)"
Thanks to Eastern Express - ALL engraved panel lines needed re-scribing. They had different depths and even disappeared in places. I also noticed that the wing consoles had very bad fitting. 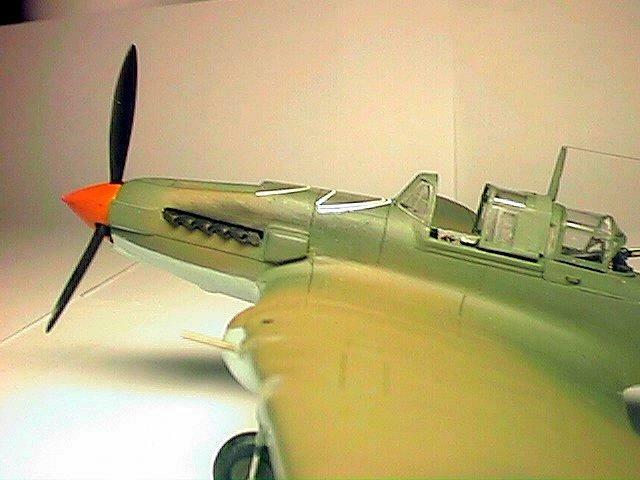 The landing gear was very well detailed and the radiator was made up from f parts!. The antenna wire has the unusual scheme, but I made it right from the Beregovoy's photo with my own hair. 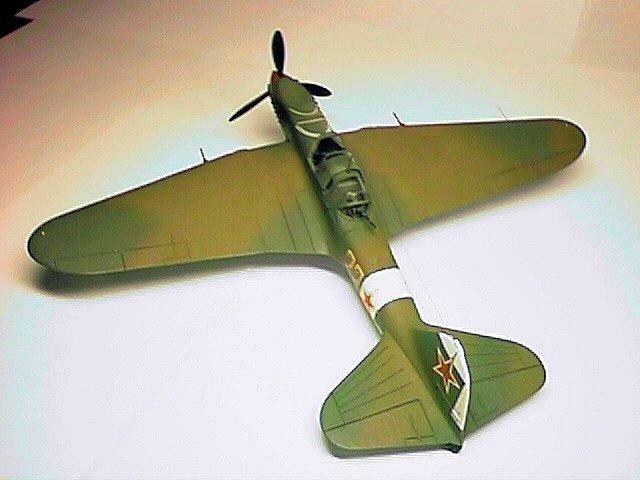 According to some references the plane was painted in two-color camouflage scheme. The proper shade of "Green' is the Humbrol's 102 + 20% white and for the "Brown" I made the mixture of about five Humbrol's paints (Khaki, Sand, White, Brown etc - I could not repeat this color again) until it seemed right to me (after several "trial and fail" probes) and matched my reference color pictures. Undersurface is Humbrol 65 Blue. The cockpit is light gray. 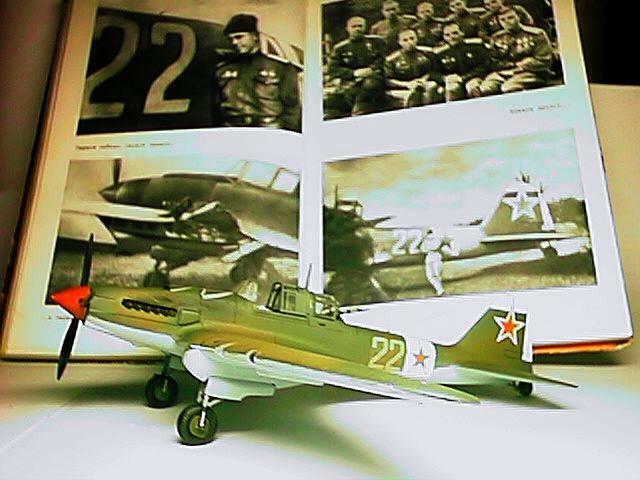 The "fast recognition" markings were painted as according to the photos from the Beregovoy's book "The Angle Of Attack". The decals were from kit decal sheet and number '22' was made by cutting two '23' marks from the decal sheet. As my first weathering experience there is some exhaust spots on the fuselage nose and some rust on the exhaust tubes. 3. G.Beregovoy "Ugol ataki" (The Angle Of Attack) "Molodaya gvardiya" Moscow. 1971. Special thanks to Caz Dalton for his advices and edition the text and thanks to Lew Gubanov for his help with the digital camera.